​Manchester City winger Raheem Sterling has been earmarked as a possible future England captain by manager Gareth Southgate after being added to the squad's 'leadership group'. 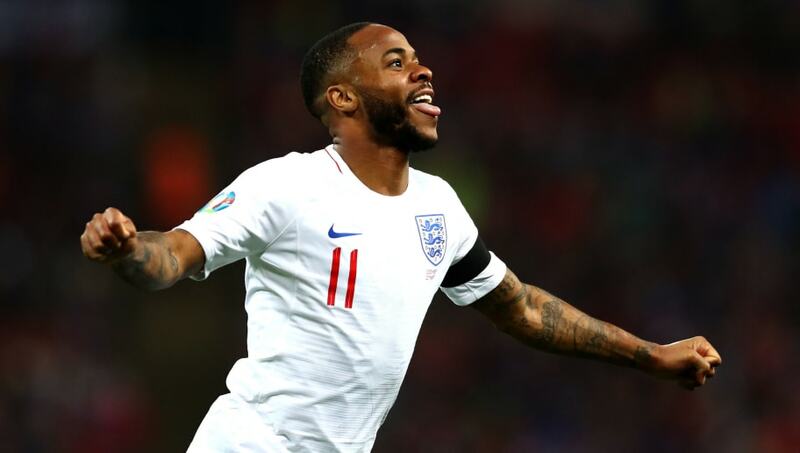 After a difficult first few years in the England team, Sterling found his feet at international level in 2018 and marked his opening game of 2019 with a hat-trick against Czech Republic last Friday. Ashley Young has also been a member, but the veteran Manchester United full-back hasn't been called up for England duty since last summer's World Cup and has now been replaced in a senior leadership position by Sterling. As well as being in the kind of form that has made him a contender for Player of the Year honours, Sterling has also shown great maturity in recent months as he's dealt with his continued unfair portrayal in the media and abuse from fans, some of it alleged to be racist. "It's difficult to talk about a potential captain when the captain is in the hotel waiting to go out for dinner but, in terms of his personal qualities, he's shown some outstanding personal qualities."